Dr. Mehdi Karimipour graduated from the University of Los Angeles, CA, with a Bachelor of Science degree in Biology. After publishing an article on evidence-based dentistry, he decided to pursue a dental career and attended Tufts University School of Dental Medicine on a merit scholarship. Throughout his education he achieved awards for excellence in clinical achievement and skills in operative dentistry. After receiving his DMD, Dr. Karimipour attended a three-year dental residency program specializing in Prosthodontics at the University of Alabama and VA Hospital at Birmingham, Alabama. While earning his Master’s Degree in Dental Materials, he provided dental services to a non-profit organization to help meet the needs of children in underprivileged and under-served communities in rural cities. Continuing at UAB for an additional year, Dr. Karimipour obtained a sub-specialty training in Maxillofacial Prosthodontics to serve the prosthetic and medical needs of patients who have lost physical structures (through cancer, congenital and developmental defects) of the head and neck. He fabricates his own prostheses, both oral and facial, in-house and receives personal fulfillment by providing a unique service to help improve the quality of life of such patients. Dr. Karimipour is a member of the American College of Prosthodontics, the American Academy of Maxillofacial Prosthetics, the Academy of Osseointegration, the American College of Fixed Prosthodontics, the Massachusetts Dental Society, the International Academy of Prosthodontics, the American Academy of Implant Dentistry, the American Dental Association, and the International Academy of Anaplastology. He also volunteers at the Department of Prosthodontics and Operative Dentistry at Tufts and works part-time as a prosthodontist at the Veteran Affairs hospital in Jamaica Plain. 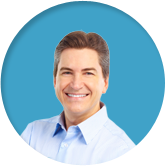 His expertise includes treating patients in all phases of prosthetic dentistry such as full-mouth rehabilitation, with and without dental implants, smile makeovers and aesthetics, Botox, TMD treatment, sleep apnea, fixed restorations (crowns, bridges, veneers, onlays, inlays), removable prostheses (partials, complete dentures), obturators for cleft lip and palate, and also implant or adhesive-retained nasal, auricular, and orbital prostheses. 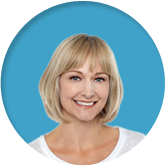 Dr. Karimipour is also Invisalign certified. 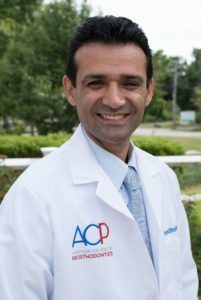 During his spare time, Dr. Karimipour enjoys playing table tennis and once placed second at the NCTTA. Hiking, bicycling, snowboarding, snowshoeing, and exploring the New England area with his wife and daughter are also among his favorite things to do.